Process of using a turning wheel to shape clay by hand to create an object. Mechanism used to give form to clay by means of a rotating movement operated by the feet. Metal rod that connects the flywheel to the wheel head, transferring the rotation movement. Disk placed on the wheel head so that the pieces created can be easily removed. 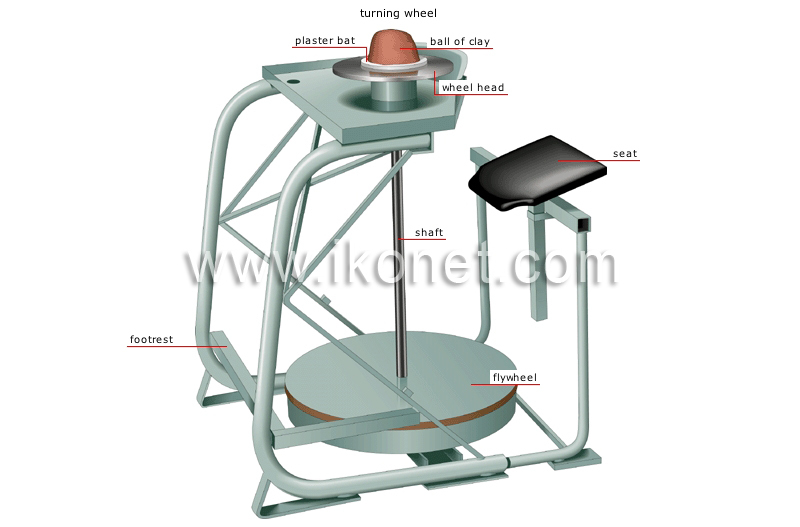 Plate controlled by the feet, which turn or stop the wheel head and regulate its rotation speed. Turning plate controlled by the flywheel; the work in progress is placed on it.